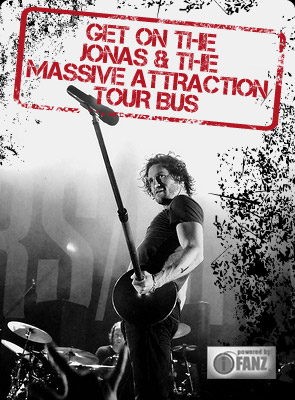 After a great show in Amsterdam last week at the Heineken Music Hall with Roxette, Jonas & The Massive Attraction will perform two special acoustic in-store shows in The Netherlands to promote their new album “Big Slice”. Drop by and say hello to the guys and check out their acoustic set on Wednesday, July 4, 2012 at 4:00 Pm at Music Machine in SITTARD. See a LIVE video clip of Jonas & Corey’s acoustic performance of their first single in Holland, “Seize The Day” at Weert FM at https://www.youtube.com/watch?v=7q9EKFu2dQY&feature=relmfu. “Seize The Day” was just released to radio in The Netherlands this week….call your local radio station to request!